Digital Surface Model (DSM) is an autocorrelated surface that represents the tops of surfaces. The autocorrelated data is in its rawest form. The data is made up of sampled arrays of pixels depicting surface elevations in raster form. This data was captured as an ancillary product of a statewide ortho image acquisition using a Lecia ADS40 sensor. The primary DSM is a 5-meter ground resolution, produced in 5 large blocks covering the entire State, cast on the Universal Transverse Mercator projection (UTM) on the North American Datum of 1983 (NAD83). 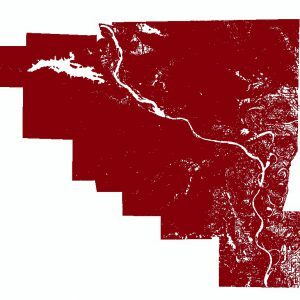 This series of DSM’s was produced as a part of the 2006 Arkansas Digital Orthophotography Program administered by the Arkansas State Land Information Board and the Arkansas Geographic Information Office. The aerial imaging data used to create the DSM was acquired between January 15th and March 31st in 2006.